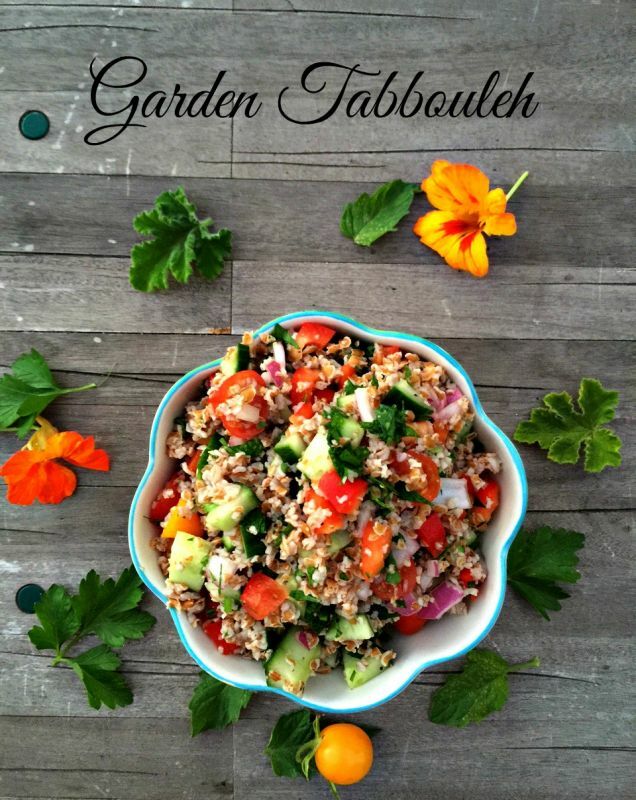 Tabbouleh salad screams summertime in my house. Growing up it was a staple for all the fresh garden vegetables my mother grew. Not only is it a nutritional powerhouse, but it can feed a crowd at any outdoor party. 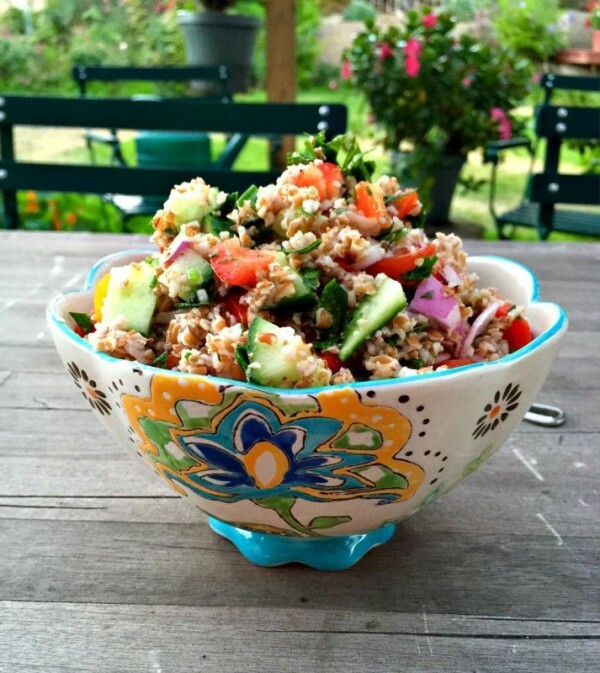 I make my Tabbouleh from Bulgur wheat. But feel free to trade it out for quinoa, for a gluten-free dish. It is normally served cold with big amounts of fresh parsley, onions, tomatoes, lemon juice or red wine vinegar and a good quality extra virgin olive oil. I buy my bulgur from Bob’s Red Mill which can be found online or at your local natural food store. It comes both in Golden or Red. 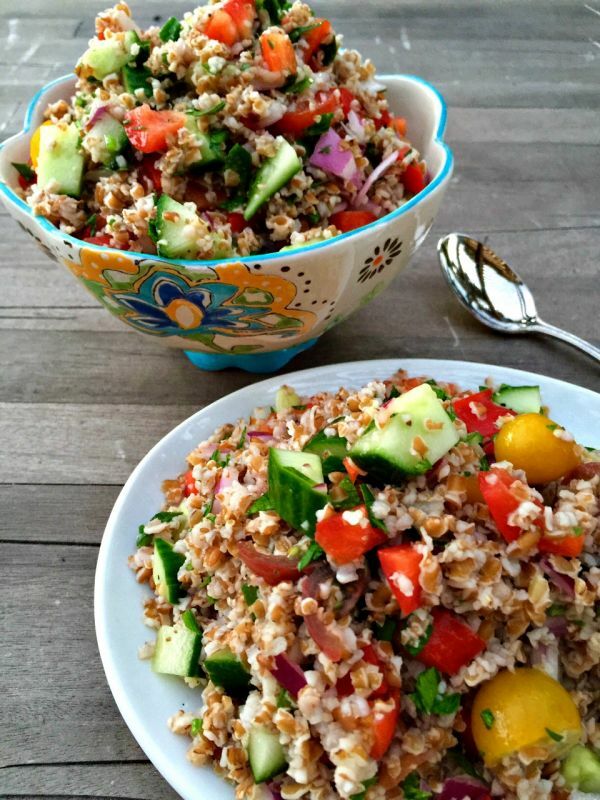 Bulgur is often confused with cracked wheat. To make bulgur, the whole kernels are cleaned, parboiled, dried, and then ground into granules – fine, medium, and coarse. Fine and medium grinds need only to be steeped, while coarse grind bulgur needs to be cooked for 10 minutes. All grinds can be used in a recipe, but the cocking times needs to be adjusted. I used a coarse bulgar because I enjoy a more crunchy texture, so cooking time was 12 minutes. Make your bulgur ahead of time, and cool. Add your ingredients of choice and you have a nutty-crunchy tasting salad to go along with your fresh salad, or alongside a protein. You can make a large batch of bulgur and keep it refrigerated all week to add to your soups, stews and salads. Combine 1 cup bulgur (I used coarse) and 1 cup boiling water and soak for one hour. This can be doubled. Drain well and squeeze out any excess water. I use a good quality of extra virgin olive oil with red wine vinegar. You can use fresh squeezed lemon juice, if you like. Coarsely chop all the vegetables and add to the cooled bulgur. I add the olive oil and vinegar slowly to my taste. Season with salt and pepper. This is a more Mediterranean flavored dish. Feel free to experiment by adding raisins, seeds, and nuts, and any seasonal vegetables of your choice. 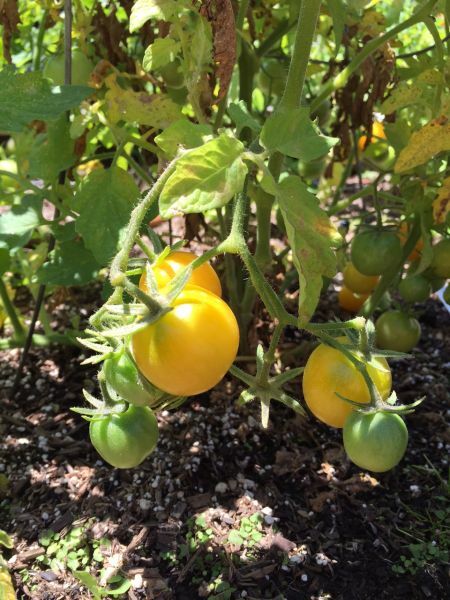 My garden tomatoes are just coming in. I make quite a few salads so I do love the smaller bite-size varieties. Feed a crowd this summer and double this recipe. It be made ahead, refrigerated overnight, and served cold. Oh yum! 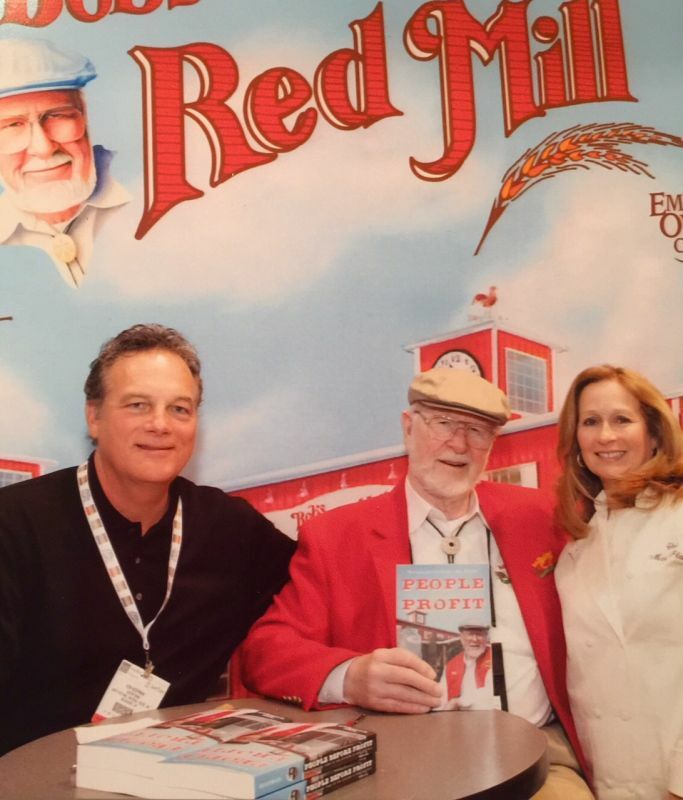 I met Bob at the Expo West show several times and he is such a great supporter to the culinary world. He has written this terrific book about his company and how he believes so strongly in his employees and supports them in so many different levels. By the way he also produces hundreds of terrific products. Enjoy your salad and eat well! Sometimes, if I am feeling lazy or in a hurry, I use whole wheat couscous from Trader Joe’s – cooks in 5 minutes. Beautiful shots here! Thanks for the tip Liz! I do love couscous, but any grain can be substituted.